Thailand like many Asian countries has focused on rising GDP and national income as a sign of success but is that focus misplaced? Sulak Sivaraksa thinks it is. He’s a veteran social campaigner, Buddhist activist and writer who has been jailed in Thailand and briefly forced into exile. The Burmese opposition leader Aung San Suu Kyi calls him one of the most influential thinkers in Asia. 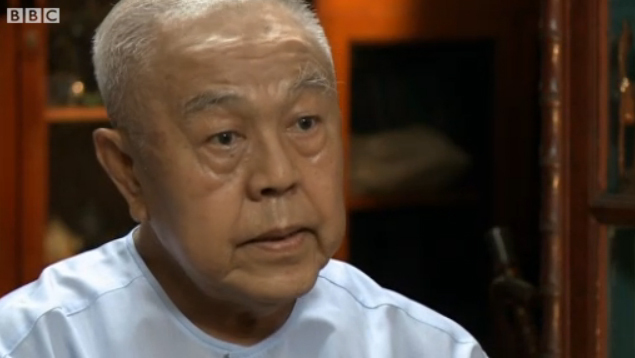 Sulak Sivaraksa, at his home in Bangkok, tells presenter Stephen Sackur what he believes is the key to happiness. HARDtalk is in Bangkok as part of BBC World News’ Power of Asia season.You can watch the full interview on BBC World News on Tuesday 28 June 2011 at 0330, 0830, 1530 and 2030 GMT and on BBC News Channel on Tuesday 28 June at 0430 and on Wednesday 29 June at 0030 BST. CLICK TO SEE THIS VDO.